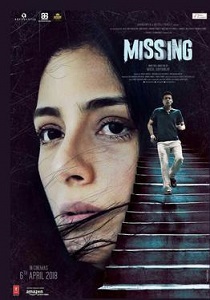 Review Summary: The talents of Tabu and Bajpai are wasted in Missing. Sushant Dubey and Aparna Dubey check into a Mauritian resort late night with their very unwell daughter Titli. By the morning, the child is missing. Everything literally begins to unravel as you watch cringeworthy hamming from greats like Tabu and Manoj Bajpayee. To add to the mess Annu Kapoor shows up as a cop overacting as always. It's been touted as a 'murder-mystery', because they murdered cinema and it will be a mystery why these good actors chose to 'act' in this film.